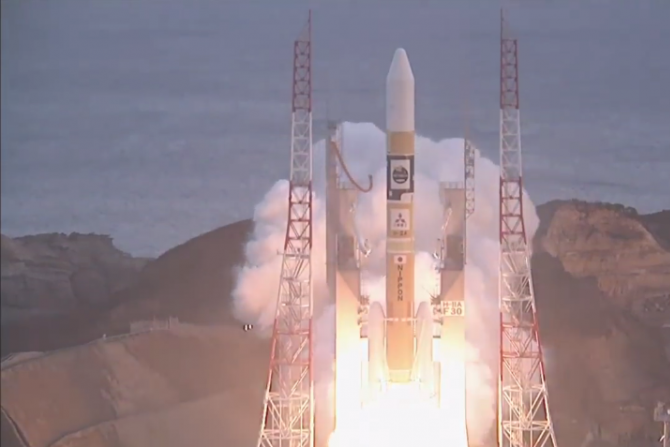 The next generation X-ray observatory “Hitomi” (ASTRO-H) was developed in an international collaboration including Japan and NASA. 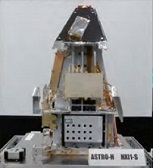 The cutting edge instrument on board is the “X-ray micro-calorimeter,” which observes X-rays from space with the world’s greatest spectral capability. The other 3 detectors on board allow high sensitivity observations in a wide bandwidth spanning soft X-ray to the softest Gamma-ray. “Hitomi” (ASTRO-H) will apply these new functions to investigate the mechanisms of how galaxy clusters—the largest objects in space made of “visible matter”—formed and were influenced by dark energy and dark matter, to reveal the formation and evolution of supermassive black holes at the center of galaxies, and to unearth the physical laws governing extreme conditions in neutron stars and black holes. With Integrated Detector Electronics AS, (IDEAS) heritage in developing electronics for space borne gamma ray detectors such as those onboard in NASA´s SWIFT satellite IDEAS was chosen by JAXA to develop and deliver Read-Out Integrated Circuits, ROICs for two of ASTRO-H´s instruments, the Hard X-ray Imager (HXI) and the Soft Gamma Ray Detector (SDG). The HXI is placed in the focal point of the Hard X-ray Telescope on an extensible optical bench. It consists of four-layers of 0.5 mm thick Double-sided Silicon Strip Detectors (DSSD) and one layer of 0.5—1 mm thick Cadmium Telluride (CdTe) imaging detector. Soft X-ray photons are absorbed in the Silicon (DSSD), while hard X-ray photons are absorbed in the CdTe detector. To reject photons not passing trough the telescope the detector assembly is placed inside a BGO (Bi4Ge3O12) scintillator detector acting as an active shield. Photons or cosmic rays detected in the BGO does not originate from the telescope and are rejected. The total thickness of the four DSSDs is 2 mm. The DSSDs cover the energy below 30 keV while the CdTe strip detector covers the 20-80 keV band. 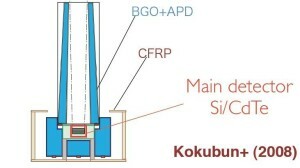 The Soft Gamma Ray Detector (SDG) is a high sensitivity gamma-ray detector made up of layers of semiconductor detectors. It is capable of measuring both the energy and the direction of the incoming gamma ray by the effect of Compton scattering in the detector layers. As such it does not use a telescope for imaging. The instrument is anticipated to reveal high energy phenomena by detecting soft gamma-rays which have higher energy than the X-ray observed in the telescopes. Posted in Press Releases, Updates.